As Gábor pointed out, now's the time to help make Drupal 8 more unified and user/developer friendly. A great way to do that is try porting your modules, now, while there's still time to fix the APIs before code freeze. Here's the video and slides from my Upgrading your modules to Drupal 8 talk at DrupalCon Sydney 2013, featuring the Pants module. This was originally posted to the "The influence of subtlety" thread on the Drupalchix group back in 2010, but since that was awhile ago now, and since I'm giving a talk on How to Create Ravenously Passionate Contributors at DrupalCon Sydney (and this experience played a huge part) I figured I'd post this to Drupal Planet as well. Here are some highlights from my first DrupalCon (Vancouver, 2006). Read more about One Drupal 8 Slide Deck To Rule Them All - Please give this at your local event! Ha. After talking to aspilicious tonight about Google Summer of Code (note: still one day left to propose a project! ), I dug around in my old e-mail archives tonight and came across my original GSoC proposal from 2005. Back in September, http://drupalcontribstatus.com/ was launched to track the porting status of the top 60 contributed projects to Drupal 7. Since then, we've whittled the list down to just 20 projects remaining, as well as tons of progress on the rest! YEAH! Issue queue triage (Difficulty: Novice): Going through the issue queues of these modules and doing things like closing duplicate reports, verifying that bug reports are valid, and so on. 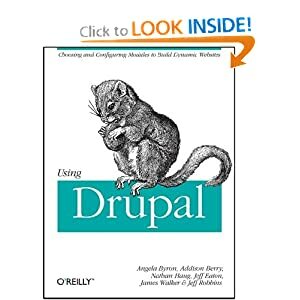 None of this is particularly difficult work, but time that maintainers have to spend doing it is time they can NOT spend porting their modules to Drupal 7. Reviewing patches (Difficulty: Intermediate): Going through the issues in the queue marked "needs review" and making sure patches still apply, then testing to make sure that they still work, then reporting on the results of your testing are all critical things that really help save maintainers time, and ensure that any actionable issues are escalated to their attention. Experience in various core sub-systems (Difficulty: Intermediate to Advanced): If you know how to write automated tests, are familiar with how the render API works, can answer questions about the new Field API or File API, there are several issues identified that could use YOUR help! Note that you don't necessarily need to be in MAINTAINERS.txt to provide this help, either; if you've already started building Drupal 7 sites and modules, you likely know enough to be helpful! Co-maintainership (Difficulty: Intermediate) Many of these projects are seeking co-maintainers. If you or your business/customers depend on any of these modules, investing solid time in the issue queue to help review and roll patches for issues in need would be of tremendous benefit, and would help position yourself to ask for commit rights so that you can ensure these modules stay solid going forward. So, without further ado, here are some specifics on how you can help Drupal 7, and the maintainers whose code you rely on! Here are some notes from the Drupal 8 status update talk that Dries and I gave today to the Acquia team, since this seemed like useful info for the community to know as well. :) It covers both process changes for addressing previous issues that arose in Drupal 7, as well as a status update on Drupal 8 progress to-date. This could be useful to folks who have been wondering where all of the various Drupal 8 status updates fit into the "bigger" picture. Please comment here if I left anything out, or messed up anything. 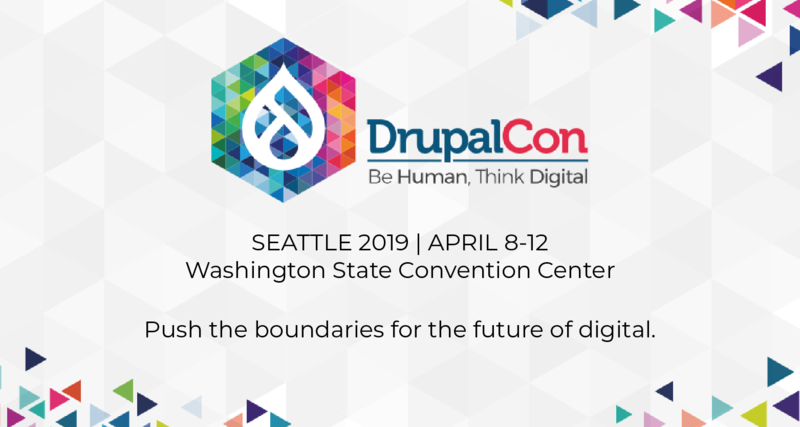 One of the things the Drupal Association struggles a lot with is the pricing of DrupalCon tickets for attendees. As detailed in the 2011 Annual Report (1.3 MB PDF), DrupalCon tickets make up a significant portion of the organizations' overall revenue, which goes to funding hugely important long-term projects like the Drupal.org redesign and Git migration, server upgrades, programs like the Community Cultivation Grants, as well as salaries for our staff to help run operations. While we are actively working on diversifying our revenue stream through initiatives like a revamped Drupal Marketplace and hosting listings, and adding numerous benefits to our membership program, the fact remains that in the meantime, DrupalCon ticket sales help to off-set significant costs for programs that help benefit the wider Drupal community, including those individuals who could never hope to attend a DrupalCon due to family/geographical/visa issues. What has webchick been up to lately? At the end of June I wrote up a list of things I'd been working on as part of Acquia's Office of the CTO. Here's another update for this quarter! Last quarter was focused primarily on stabilization of Drupal core and incorporation of various processes to help ensure it stays stable. With that in hand, this quarter my focus shifted more towards accelerating Drupal 7 adoption. Read more about What has webchick been up to lately?